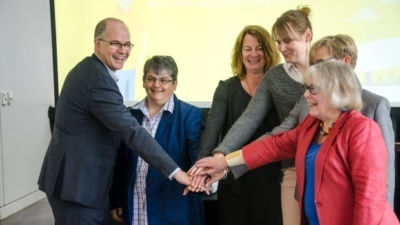 THUNDER BAY, September 19, 2017 – Four community mental health organizations in Northwestern Ontario have come together to create The Access Point Northwest – an online wait-list management tool and database that provides clients with a coordinated, single point of access into the mental health and housing services referral process. This initiative is a collaborative effort by Alpha Court, the Canadian Mental Health Association of Thunder Bay, St. Joseph’s Care Group, and Thunder Bay Regional Health Sciences Centre. Resources and implementation support were provided by the Provincial System Support Program at the Centre for Addiction and Mental Health (CAMH). 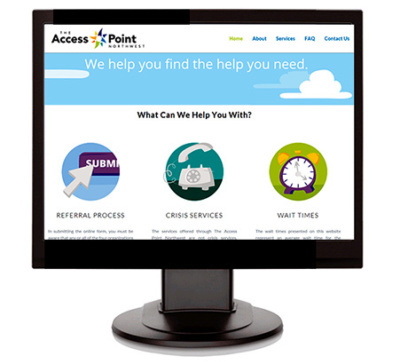 The Access Point Northwest simplifies the outpatient referral process for clients and primary care providers by helping them access the 35 organizations in the community offering outpatient mental health, supportive housing, case management, and chronic pain management services and supports. It reduces client confusion about where to go for help, and eliminates duplicate referrals so clients do not have to repeat their story over and over - something that can be very difficult for clients with symptoms of mental illness. Case Coordinators then monitor the client’s progress through the system. “Northwest Access Point will ensure entry into service is accessible, timely, and equitable. Coordinated access provides people with a clear pathway to care and is designed to match identified need with the appropriate level of service. Northwest Access Point is also a promising source of data to assess trends in the need for and provision of mental health services,” said Nicole Latour, Executive Director of Alpha Court. Clients and care providers can access the new service both online and by phone at northwestaccesspoint.ca and (807) 624-3482. To learn more about PSSP's involvement in the project, please visit The Access Point Northwest project page.